Property listing syndication is the new ‘must have’ for estate agencies. Syndication is the term often referred to when publishing your properties to websites other than your own in order to attract visitors. Marketing to prospective clients that you have a footprint on x number of websites is much more appealing than your competitor who is still publishing his properties on the ‘state of the art’, flash-intensive website his son-in-law produced back in the 90’s when the internet started. But, agents should be very careful in how they market listing syndication to clients. Say your listings are advertised on 3 web sites, each having 100 unique visitors a month. Going around and telling clients that you target a total of 300 (100x3) unique visitors a month is a total misinterpretation. The simple reason is that there is an overlap of visitors between sites. The very 10 people who visited site A may also have visited site B and C in the same month. So, if you have for instance 70% overlap of unique visitors between the 3 sites, you’ll have 70+30+30+30 = 160 unique visitors between the sites. This is a massive difference of approximately 50% compared to the original ‘estimate’. The figure becomes even more obscure the more sites you take into account. Some sites may have 90% overlap. The right marketing terminology to use then, is to market ‘visits’ across x number of websites, and not ‘unique visitors’ across x number of websites. How does one calculate the number of unique visitors across websites? Not an easy task, but it all boils down to combining the log files of the various sites into a centralised log where the unique visitors can be recalculated. Still, having your listings feed through to a couple of high traffic websites is the way to go. Entegral provides a product called the GRID that simplifies listing syndication. One feed to the GRID will allow advertising to multiple portals and is a great way for real estate groups to minimise development and maintenance cost on interfaces. 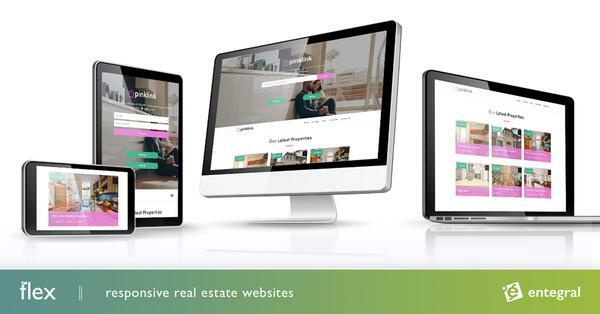 Entegral syndicates listings to over 20 high traffic websites including MyProperty, MSN Property, Property Genie, Property 24, Jump, IOL Property and other sites.